"Kool Kangaroos Boomerein video highlights the risk to precious little ones and the importance of safety. Simple and quick to put on - unclip and leave child's belt on - child having their own belt gives them the feeling of responsibility and feel important." 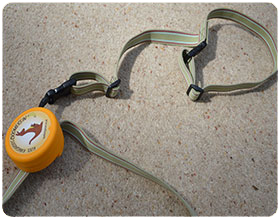 "Child safety harness - great concept well made quality product." "System very easy to use and very effective - Dylan loved the freedom to run along under his own steam - I was confident that he was completely safe at all times." "Sometimes you come across a product and think: 1 How is this only just been invented, 2 Why didn't I think of it first?" "Did I like it - Yes I love it!!" "She doesn't like reins - I've tried traditional and back packs - the very clever (or should that be Klever?) 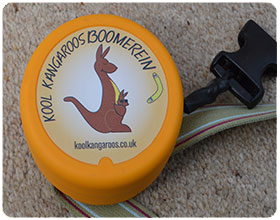 people at Kool Kangaroos have come up with a solution." "I love them so much and now I don't bother using my child harness reins or my wrist straps - the boys love the freedom they get with the Boomerein and I love being able to have my hands free - it's a great product." 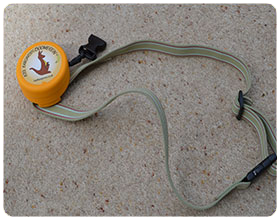 "The belt is fully adjustable so will fit any adult/child. I really do love this product; personally I think it's genius and would definitely recommend it! It's ideal for anyone with a toddler! Especially those of you who have a toddler and a baby... the Boomerein leaves you hands free to push your buggy whilst still being in control of your toddler! A big thumbs up." Kool Kangaroos child safety harness - your first choice for child safety!